Inkymole: DJ Food In Your Ears, Cocoa Amore In Your Mouth. It might have become obvious over the past year that Inkymole has been building on its involvement with chocolatier Cocoa Amore, whose shop and all-round hub of chocolate education moved last year into its beautiful new store in ancient Silver Street, in the heart of medieval Leicester (just along from the cathedral where Richard III is buried). Our role there began with an event we put on - a chocolate-infused Buddy Wakefield show co-organised with Pete, Cocoa Amore’s owner - and has evolved from helping out with a little window decoration and signage here and there to fully immersive Creative Direction. We’re currently enjoying the fulsome challenges of everything to do with getting an exciting new franchise off the ground - branding, consistency, interior decoration, marketing, merchandising, communications…and more. It’s hard work, but we’re loving every part of it. 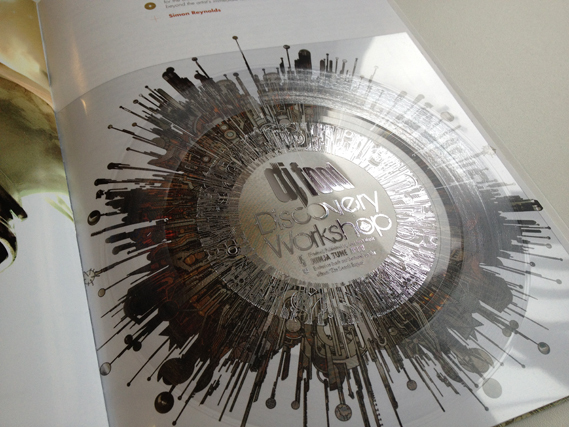 One of the first things we focused on is the in-store music. It’s well-recognised that music can help enhance the atmosphere of a cafe and store (Cocoa Amore is both) and so as soon as we were given the ‘keys to the shop’ we installed a new amplifier, good speakers and a live music streaming system. 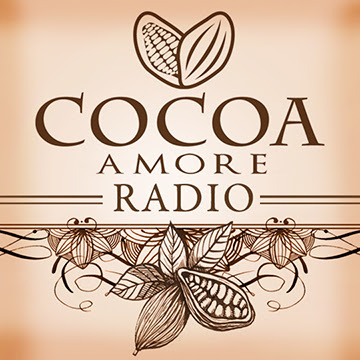 Playlists curated by us or by our guest artists is not only streamed live into the shop from our studio, but as Cocoa Amore Radio can be listened to anywhere in the world courtesy of Tune In. Our first playlist we put together ourselves, but our second has been by our long-term friend and collaborator Strictly Kev aka DJ Food. 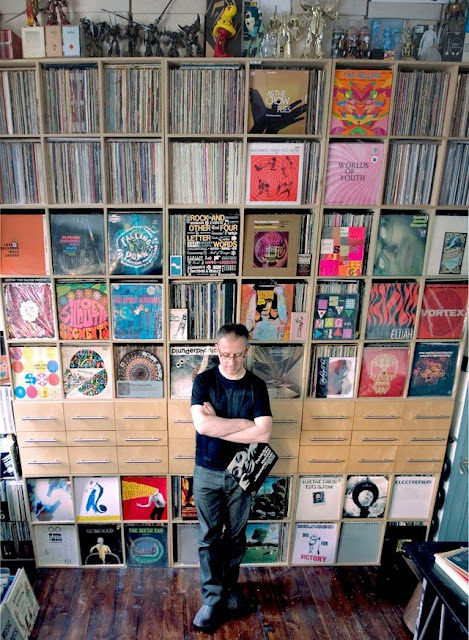 Pivotal in the founding of groundbreaking record label Ninja Tune in the early 90s, Kev’s worked non-stop as a musician, designer, collector and writer ever since, staying ridiculously busy at the forefront of new music and design for music over a jam-packed two-decade career. 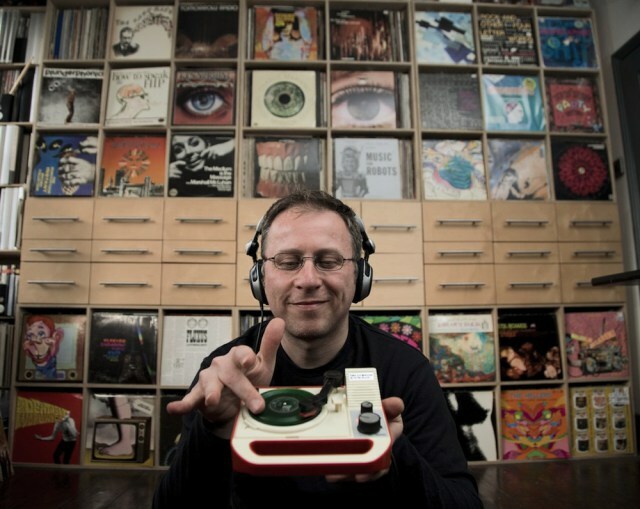 His current playlist takes a sci-fi, cosmic/psychedelic vibe and smushes it into different genre corners, roping in such glittering gems as Radiohead (from the new album), Gaz Coombes, Peter Cook and Dudley Moore, Jane Weaver, Annabel (lee), The Dragons, Lalo Schifrin, Jan Hammer and Vangelis. It strides across decades easily and with audible panache, and has provided the soundtrack to many an overnight session working at the shop. And we’re still not bored of it - in fact, it’s one of my favourite playlists of all time.